Get inspired, mark you calendars, and enjoy the latest round-up of NTEN Members making news. What’s the future of fundraising? 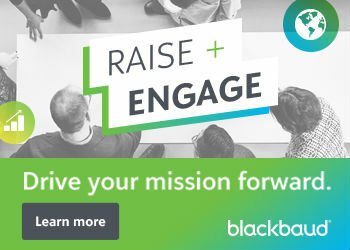 Sixteen nonprofit tech experts (including NTEN Members: Jeff Shuck, David Neff, Donna Wilkins, Frank Barry, and NTEN’s Amy Sample Ward) share their ideas and fundraising best practices in Blackbaud‘s new free ebook, The Future of Fundraising. Speaking of ebooks, Cloud for Good just released a new eBook to help organizations better implement technology, which you can download for free. Direct service can teach you a lot about digital strategy. Prichard Communications shares 4 Lessons on Digital Strategy I Learned From Street Outreach. Turns out, a classic 1980’s movie also contains lessons for nonprofits! Here are 10 Lessons from “The Breakfast Club” from Third Sector Today. Millennials may not have come around till the 1980s, but it’s time nonprofits did a better job of bringing in this generation. Ed Lord, DonorDriven, offers his new ebook to help you attract young professionals to your organization. MomsRising profiles Text, Talk, Act, an innovative program that uses text messaging to open conversations about mental health. Project partner, Rebecca Reyes, Everyday Democracy, developed and pitched the Text, Talk, Act project at NTEN’s Leading Change Summit, and we are excited to see this project progress! We also love seeing digital inclusion efforts in action! Bay Area Video Coalition (BAVC), shares reflections on the 2015 Lesbians Who Tech Summit. And while your calendar is out, save the date for the Association of Advancement Services Professionals (AASP) Summit 2015, Oct. 28-30, in Chicago, IL. NTEN Members are invited to join their advancement services colleagues for education focused on leadership and career development, technology trends, analytics and reporting, prospect management and donor relations, and gift and bio administration. Stay tuned—registration will open in May. For their 2015 conference, Emerging Practitioners in Philanthropy (EPIP) is heading south to New Orleans, LA from May 12-14. Find out more information on conference programming, and register. Did you know that by the year 2020, 40% of the workforce will be freelancers and contractors? Join Bay Area Video Coalition (BAVC), along with government and industry experts for WorkShift2020. RSVP and take part in the game-changing conversation about the biggest shift in labor since the Industrial Revolution, in person in San Francisco or follow the action with #WorkShift2020. Vanco Payment Solutions‘s article, “Finding the Payoff in Nonprofits,” is featured in the April edition of Digital Transactions. Nonprofit communicators are often faced with tackling tough conversations and facing resistance head-on. Margaux O’Malley, Grand Junction Design, offers her tips on how to communicate when you don’t agree. Congratulations are in order for longtime NTEN Member, Karen Graham, who was recently named Idealware‘s new Executive Director. We’re honored to be listed along with 12 NTEN Members on Biz Tech Magazine’s list of 25 Must-Read Nonprofit IT Blogs. Make sure to add these to your nonprofit reading list! We love hearing from NTEN Members! Let us know any news you have to share, and we may feature it in an upcoming Member News!